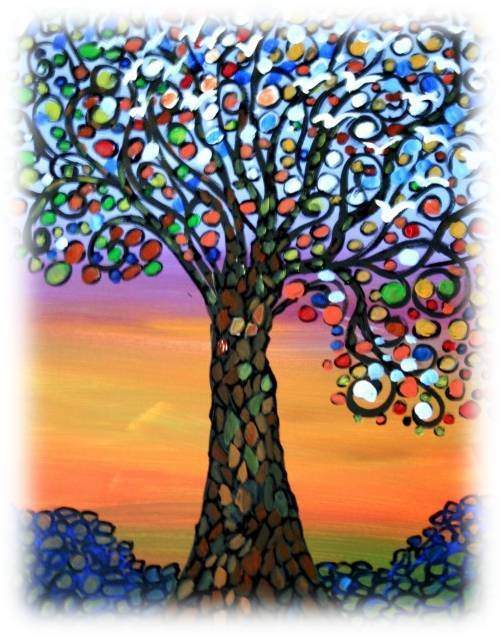 The Wishing Tree Company was founded in 2010 in Encinitas, California - the city named for its little oaks. With its near-perfect climate, San Diego County is the ideal place to grow premium quality trees that are guaranteed to thrive. We follow guidelines from the International Society of Arboriculture & the Arbor Day Foundation to select superior quality trees. Experts in all aspects of horticulture and arboriculture oversee our operation to ensure every gift tree we plant will meet its full genetic potential & provide many years of enjoyment with minimal fuss. Operations Manager Jason Chen is a graduate of the prestigious ornamental horticulture program at North Carolina State University. Jason is a landscape designer and plant enthusiast who collects camellias. He enjoys running, hiking and yoga. When Jason was eight years old, his folks built him a greenhouse - his knowledge of trees and the larger plant world is encyclopedic. If you're lucky enough to have him as your tree planter, prepare to be amazed. San Diego Sales Pro Mikayla Freed is proud graduate of Cal State San Marcos. Mikayla has a passion for music and the arts and is an avid museum visitor. Her "Tree Story" involves a treehouse, a bunch of kids and a bit of trouble, no doubt! - details coming soon. Because she loves to entertain, fruit trees are Mikayla's favorites as they provide fresh and flavorful ingredients for her weekend BBQs. Art Director Lisa Brown oversees the design of our beautiful gift baskets and designs and creates our personalized handcrafted garden art Tree Tags. Lisa is a fine artist who trained at Miracosta College. She and husband Steve are Encinitas locals who have been featured for several years at the San Diego County Fair where they exhibit and sell Lisa's Leaves - beautiful and practical handmade pieces created in cement from real leaves. South Orange County Sales Professional Joanie Bartholomew specializes in the real estate community and is an affiliate member of Orange County Association of Realtors. She loves to browse consignment stores for the hidden treasures and knows that "Home is Where We Bloom & Grow." The dwarf citrus Patio Trees she has nurtured produce so much fruit that her neighbors know where to go when they need to borrow a lime! ...is to create deeper connections between people through the magic of trees. Our tag line: "Planting love. Growing memories." ... started with the many Legends of the Wishing Tree found in cultures throughout the world. Wherever you may wander, there's sure to be an ancient story of wishes granted and dreams come true thanks to the benevolence of trees. But you don't need to look to mythology to see the everyday wonder. Walk around your neighborhood or go visit a National Park. Hike in the woods or build your kids a tree house. Ask a few people if they have a 'tree story' - then sit back and listen. One day soon you'll want to give a gift tree from The Wishing Tree Company and start yet another story for someone you love. "When I was a little girl growing up in the South, my parents planted a dogwood tree for me in the front yard, even though the nearby woods were full of dogwood trees. But this one was my own and once I grew up and moved away, it became even more special. Whenever I'd come back to see Mother and Dad, we'd always take a little time to see how my tree was doing. If it had been a particularly lovely spring bloom, they would take such pleasure in telling me about it. My folks are both gone now, but the tree is still there where they planted it for me more than 60 years ago. To me, that tree was and still is my parents' love for me made visible." "White Birds and the Wishing Tree" by Luiza Vizoli. Copyright 2009.